With over 10 years of experience, Modernize is here for you when you are actively looking for replacement windows in Billings, MT. We will help you find the perfect contractor to help you with your home window replacement project! Get free quotes from the best window replacement contractors in Billings, MT, ready to complete your project. The Magic City loses a bit of its charm if you are still cold inside your home in the middle of winter. Not only do drafty windows make you uncomfortable, they, also, raise your utility bills by hundreds of dollars each year due to their lack of insulative qualities. If that sounds like your home, then it’s most likely time to consider replacing your home’s windows. With a bit of research and this Billings Window Replacement Guide, you will confidently be able to recognize when a window replacement is essential, what materials will make your home more energy efficient, and what steps need to be taken to ensure that any construction is performed legally. A few of the most obvious signs that a window is at the end of its life are rotted, warped, or leaky framing. Due to Billings’s extreme temperature swings, record-breaking snowfalls, and severe stores, it is not uncommon to have any number of these issues happen within a single window. So long as the damage is not too extensive, rotted sections of the frame can repaired by removing the marred area and filling it in with epoxy. Though this won’t completely eradicate the issue, it will certainly prolong the life of your window. With windows that have warped to such an extent that they can no longer operate smoothly or at all, there is little that can be done to repair them. A replacement in this instance is highly recommended in order to keep your family safe in case of an emergency. Similarly, windows that allow moisture to seep into the walls of your home can cause serious structural damage and potential mold growth, and should be replaced as soon as possible. Everyone wants to have a strong desire to be home, but when your windows allow too much solar heat to enter your home in the summer and too much manufactured heat to leave your home in the winter, that is not going to be the case. In fact, the 2015 Remodeling Impact Report conducted by the National Association of Realtors (NAR) found that increasing a home’s energy efficiency was the number one reason why people chose to replace their windows. The NAR, also, discovered that these same homeowners saw their property values increase by upwards of 80 percent of their renovation budget! Combine that with any state and federal incentives, and it’s hard to say no to moving forward with your own window replacement renovation. Energy Star has noted that homeowners save 12 percent of their utility expenses on average when they upgrade their home’s windows to energy efficient alternatives. By choosing the right framing materials and insulative glass, you too can sock away hundreds of dollars each year. Window framing materials range in anything from composite wood to fiberglass to hybrids of several materials, but the three most common are wood, vinyl, and aluminum. In general, aluminum is going to be a terrible decision for Billings’s cold winter because it can cause moisture to condense on the inside surface of the window frame, resulting in extensive, irreparable damage. Thermally improved wood or vinyl, however, have frames that are designed with low conductance gaps which thwart moisture transmission and are coated in a high-performance glaze that greatly prolongs the life of any window. Wood offers a classic look that can stand the test of time, often having a lifespan of 30 to 40 years. This longevity does come with a high price tag and varying levels of maintenance, though. Vinyl, on the other hand, is incredibly affordable and uniform in color throughout the entire casing, making it aesthetically unnecessary to repair if it were to be damaged. Although, greatly improved, vinyl is still susceptible to warping and deterioration when under prolonged direct sunlight. A professional will be able to help you determine which material is best suited for your home. Consumers can now easily see just how energy efficient a window is by looking at its U-value and Solar Heat Gain Coefficient (SHGC) scores. U-values represent the rate at which heat is able to be transferred through the fenestration from inside the home to the outside air, with better insulated windows receiving lower point values. SHGC is the numerical representation of how much solar heat is allowed to enter the home through the glass itself, and determining which range is best for a home is very dependent upon climate and your home’s orientation and shading level. 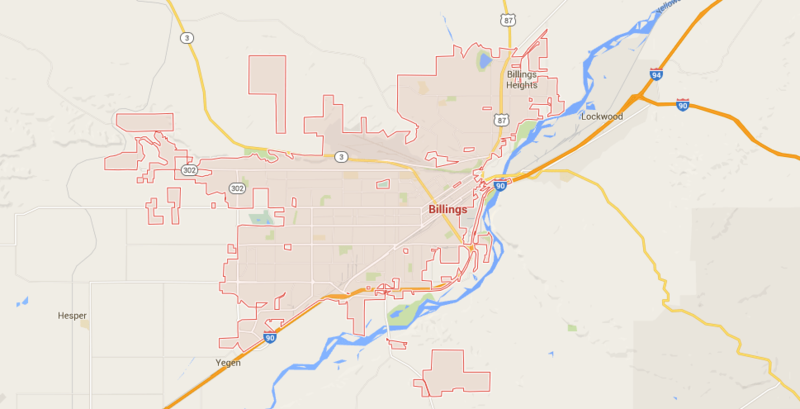 In general, Billings residents should look for windows with a U-value of less than or equal to 0.22 and a SHGC of 0.25 or less. Virtually all Energy Star approved windows will, also, have been covered in a low emissivity (low E) coating to further block any solar radiation from entering the home. Low E coatings have three degrees of admittance: low, medium, and high, and most Billings’s homes will need to go for a low-solar-gain low E option. A building permit must be granted by the City of Billings before renovations begin on your windows. Usually your contractor will take care of this process for you, but if you wish to do it yourself, you will need to take a completed application and a fee based off the estimated expense of the project to the Building Division which is located on the fourth floor of 2825 3rd Avenue North, Billings, MT 59101 from 8:00 to 5:00, Monday through Friday. So long as no structural changes are being made to the property, you will usually not be required to submit plans for review. Once the project has been completed, a city official will need to come and inspect the work to see that all work has been performed safely and to code. If you have any questions regarding this process, contact the Building Division at (406) 657-8270.